We’re lucky in the Newcastle, Maitland and Lake Macquarie area to have a range of cycling events taking place close to home each year. 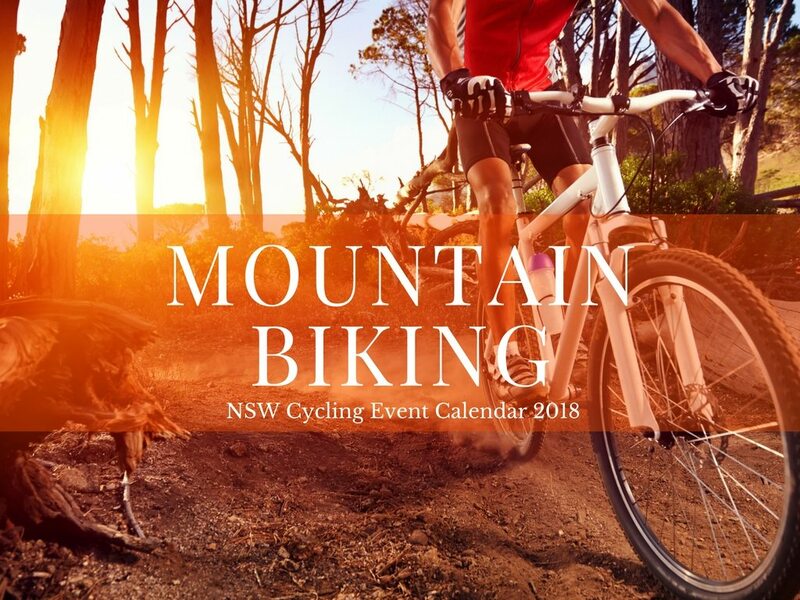 If you’re serious about cycling, there are also a range of other cycling events happening in the rest of New South Wales in 2018 that may grab your attention. Taking place in October 2018 (the exact event dates are to be confirmed), the Crowne2Crowne Cycle Classic is a bike ride raising funds and awareness for the Westpac Rescue Helicopter and promoting the Newcastle and Hunter Valley region. The Crowne2Crowne Cycle Classic is a must for every rider and is an event not to be missed. It’s for everyone, first timers or the elite, the event is not a race but an enjoyable ride for an important cause. The start and finish lines feature the stunning backdrop of Newcastle and Hunter Valley Crowne Plaza properties. A full service ride will see riders treated to breakfast by the Harbour of Newcastle, two rest stops to refuel along the 58 kilometre course and then a relaxing lunch in the gardens of the Crowne Plaza Hunter Valley Property. You can go at your own pace, and enjoy the rewarding views, knowing that you’re helping an important cause. For more information, head to the Crowne2Crowne Cycle Classic website. Port to Port MTB is happening on Thursday 24th – Sunday 27th May 2018. This one is for the more adventurous people, achievable for anyone with a reasonable level of fitness and mountain biking skills. There’s nothing too technical but it will keep your attention, with new terrain and scenery every day. Port to Port MTB involves 4 days of trails through state forests, wine country, hinterland, national parks, and coastline and mountain bike parks on Australia’s spectacular east coast. At the end of each day you’re able to kick back, relax and enjoy tasty local eats, beers, wine and everything Newcastle, Lake Macquarie and the Hunter Valley have to offer. Enjoy the social atmosphere after completing a day of cycling. The course features challenging climbs, thrilling descents and all the best single tracks they could find in the area, combined with some spectacular scenery. It’s suitable to all rider levels with a decent level of fitness, so don’t be intimidated and think it’s only for pros. For more information on each stage, a training program and tips, past results, accommodation and how to get there, how to register and more, head to the Port to Port MTB website. Spring Cycle is taking place on Sunday 14th October 2018. It’s the only cycling event that gives you the opportunity to ride over the Sydney Harbour Bridge main deck traffic free! Spring Cycle attracts over 10,000 riders and gives you the opportunity to enjoy iconic views and discover the cycling infrastructure around the city and western suburbs. There are four different rides, 10km (city ride), 16km (river ride), 50km & 105km (classic rides), so whether you are a beginner or a cycling pro, there’s a challenge right for you. Kids ride free but must be 8 years or above. To find out more, check out the Spring Cycle website. There are a number of different charity rides happening in 2018, including Pedal Advocacy Against Poverty, The Heart Foundation Gear Up Girl, By Bicycle NSW, Bobbin Head Classic and many more. Find out more information on all of the NSW Charity Rides happening by visiting the Bicycle NSW website. 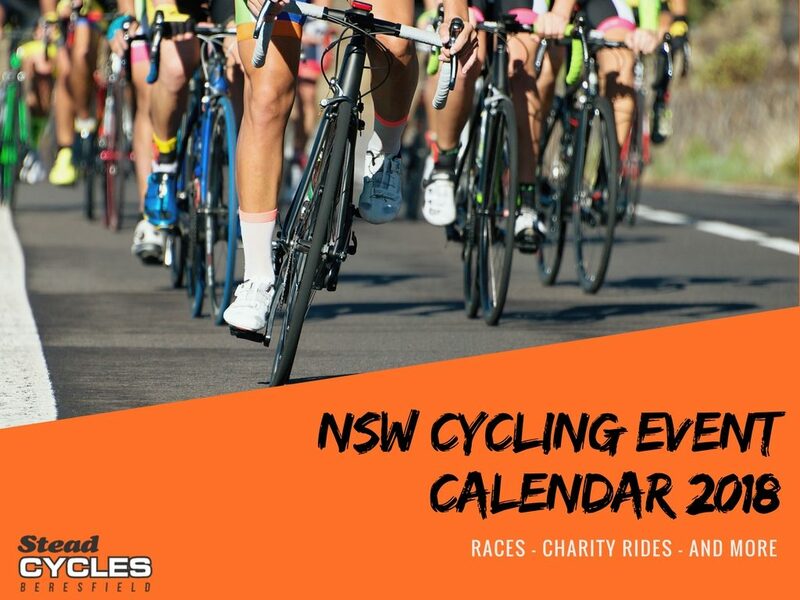 Keep an eye on our news and events page for any other upcoming cycling events happening in NSW.